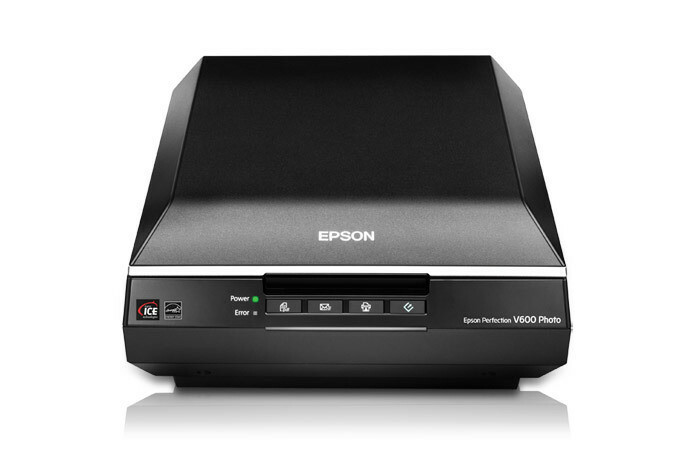 Epson today announces the launch of its Epson Perfection V600 Photo scanner. With the ability to scan; restore and archive an extensive range of films and prints at fast speeds; the V600 has low power consumption for maximum efficiency and no warm-up time for instant scanning. With 6400dpi optical resolution and 3.4DMAX optical density for film scanning; the Epson Perfection V600 Photo creates high-quality images; meeting the photo and film reproduction needs of photographers. * 6400 x 9600 dpi for outstanding resolution and enlargements up to 17" x 22"
* 8.5" x 11.7"; TPU 2.7" x 9.5"
* One-year limited warranty in Canada and U.S.